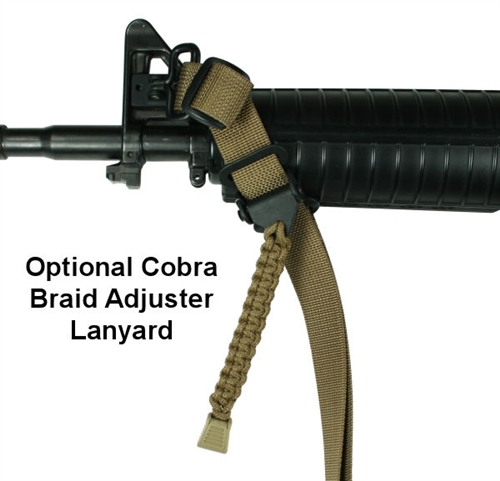 Note: No front adapter is provided. 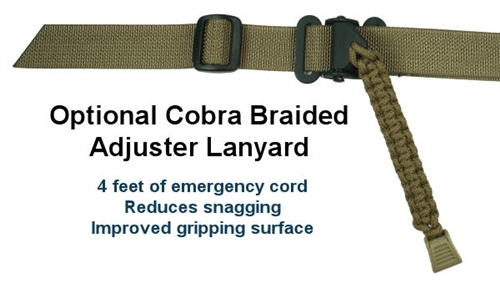 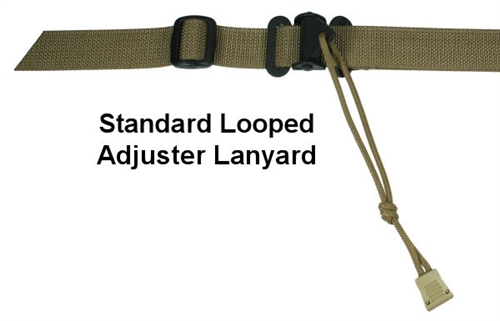 You must have some form of side mounted front sling swivel for this sling to mount to. 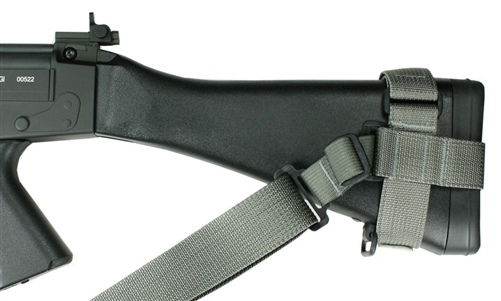 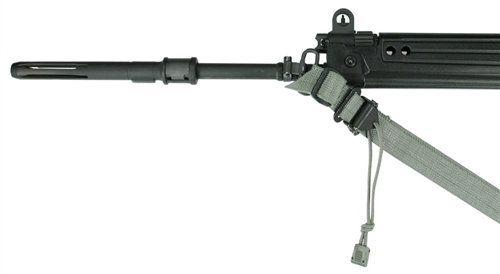 For folding stock FAL variants the Universal 2 Point Tactical Sling is the correct application.